In a world of unlimited choices, Millennials are forcing us to deal with them one-on-one. If you’re a small church pastor, leader or member, this is good news. One-on-one is what we excel at – or what we can excel at anyway. If you’re in a big church it can be good news, too. We just have to choose to see it that way. By forcing us out of a group approach to church and into a more individualized way of seeing people, Millennials may be poised to bring about the biggest shift in the way churches do ministry since the Reformation. Millennials may be poised to bring about the biggest shift in the way churches do ministry since the Reformation. Or we can refuse to acknowledge this reality and slip into even further perceived irrelevance. It’s our choice. The Number One way we can reach Millennials? Lean away from the church-as-business model and into the church-as-relational-community model. Love God and love others. 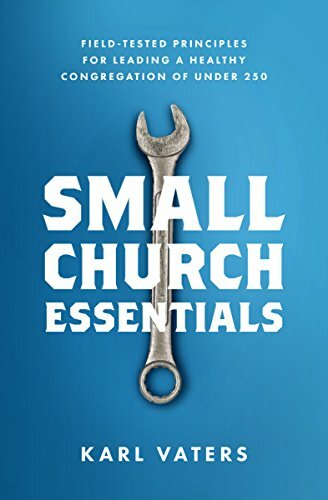 If you’re looking for ways that your church can be relevant to people in today’s culture, that essential relational component of the church – what Jesus called the Great Commandment – is more relevant than any program, method or musical style you’ll ever adopt. Here are a few ways churches of any size can reach Millennials by leveraging the power of relationships. It’s important to know the demographics of the community you’re serving. Like a missionary going to a foreign country, it’s an essential part of knowing how to communicate the gospel with them. But we have to realize that demographics are the starting line, not the goal. The church growth era may have been started with the phrase “find a need and fill it.” That principle will always be a valid approach to ministry. But after we start meeting people’s needs, we need to know and remember their names. When our church started doing homeless ministry several years ago, we trained our workers not just to hand people a bowl of food or an article of clothing, but to look them in the eye and engage them in conversation. Those relationships were what touched more people’s lives than any material goods we gave them. The same goes for those who aren’t homeless. In many places, we’re raising a generation that’s rich in material goods, but poor in relationships. That’s the need we should be finding and filling. For about 100 years, mechanization was the height of efficiency and customer service. It still is the height of efficiency, but we’re realizing that it’s not so great for customer service. People don’t want to be Customer 63 any more. When they come to church they don’t want to be a member of a target demographic. Boomers are impressed by growing church numbers. But people’s hearts are touched by hearing stories of life-transformation. I love it when I hear “we baptized 75 people last Sunday!” That’s 75 eternities! But hearing one story of life-transformation will touch more hearts than any stats you can give – no matter how impressive the numbers are. Boomers are watchers. From TV, to movies, to airline flights, to churches, we’ve been trained to “sit back, relax and enjoy” whatever is being done for us. Churches that are succeeding with current generations aren’t doing ministry for passive observers as much as they’re doing ministry with active participants. The internet has turned previously passive modes of input into participatory activities. Churches that are succeeding with current generations aren’t doing ministry for passive observers as much as they’re doing ministry with active participants. The two most common items appearing on church stages in the last decade are TV screens and wood pallets. TV screens I get. But pallets? We’ve all noted and wrung our hands about the current obsession with our digital devices. But what sometimes goes under the radar is the growing interest in real-world tactile expressions as well. For every graphic artist using a tablet, there’s a student wanting to learn how to draw, paint or play an instrument. Or repurpose pallet wood into something beautiful. Even if it’s temporary. Size impresses Boomers and Builders. Big stores, big screens and big churches. There will always be a place and an appeal to bigness (I’m talking to you, my American readers!) but people are less impressed with that now than they used to be. In going big, we’ve forgotten to go deep. We’ve built bigger businesses at the cost of our families. And some have built bigger churches at the cost of our souls. I know I almost did. Yes, big churches can be great churches. You can go big and deep. But only if going deep is your first priority. That’s not true today. If we’ll engage them in two-way conversation, not just one-way criticism, this generation is hungry for connection with the wisdom and friendship of previous generations. They may not know how to express it in a way that we understand, but the need is there. When we keep our relationships separated into work, school, family and church, we create a schizophrenic society. People need to see how their faith connects with life outside the church. People need to see how their faith connects with life outside the church. And the best way for them to know that is by seeing us live it with them. This generation has their phoniness detectors set to 11. And there’s nothing we can do to set them off faster than trying to be cool when we’re not. According to Hadyn Shaw in a great podcast interview with Carey Nieuwhof, the single biggest reason Millennials who were raised in the church are leaving it is because they had questions no one would answer. The truth is, when sincere people ask hard questions, they’re often not requiring an answer as much as they’re needing a sympathetic ear.